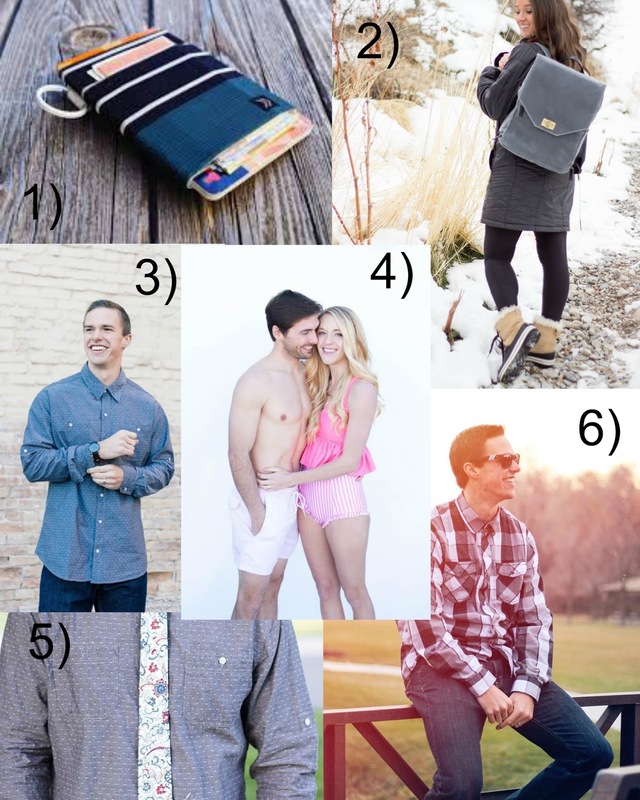 Holiday Gift Guide For The Man In Your Life! | For the Joy of Life. Does anyone else struggle shopping for their husband every year?? Hunter is actually fairly easy because he's pretty low maintenance, but he can never think of anything he actually wants and it drives me crazy! haha! He never needs clothes because he works for BYU football and gets everything he needs from them. He also isn't home much with school and work, so fun at home gadgets wouldn't do much good just yet. I usually just end up getting a few things so there's something under the tree for him haha. I'm hoping this gift guide helps some of you out that are in the same boat as me! Just as the women's gift guide, I'll be sharing small shop products first and at the bottom include shoppable links for your convenience! 1) Thread Wallets: Thread Wallets are the slimmest wallets around. They are able to hold all of your cards and cash without taking up a ton of room in your pocket and they are safe! I remember watching a video where they took one on a rollercoaster and it didn't budge. I love all their designs and the convenience of these wallets. 2) JoTotes Camera Bag: Yes, this was on my women's list as well... but their backpacks are totally gender neutral! Hunter takes all my blog photos for me and feels totally comfortable lugging around this bag. It's stylish but not too feminine and helps the photographer in your family carry all their equipment. 3) An Arvo Watch: You've heard me rave about Arvo time and time again but seriously, these are our absolute favorite! hunter has the all black one and I just love how it looks on him. He's tried the brown band as well and liked it! There's so many options for these watches and your lover will be thanking you endlessly! 4) Kortni Jeane Men's bottoms: YES Kortni Jeane really does have men's suits! How cool is that?? She even has prints that match her mini and regular sized suits so the whole fam can match! These bottoms are stylish and comfortable and you are guaranteed to love them! 5) Dazi Tie: I bought Hunter a ton of ties while he was on his mission and I regret every purchase because all he really wears now are his Dazi ties! We absolutely love these ties. They are slim but not too skinny and look awesome on everyone. They have prints no one else does and every one of them is designed to please. Seriously, these are our favorite! 6) Blenders Eyewear: Hunter complains about the sun being in his eyes often and I'm always wondering why he doesn't just wear sunglasses! Now that he has a pair of these, he finally does ;) We love these sunglasses! They have so many styles and designs and are awesome quality! And now on to a few shoppable links! I hope this helped you find a few things for the man in your life!